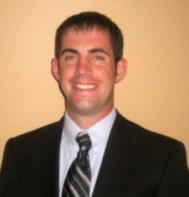 Bryan Flynn's Central Massachusetts Mortgage Blog: RE Agents, what do you look for from LOs? RE Agents, what do you look for from LOs? I would love to hear your opinions on what you look for when choosing to work with loan officers, what impresses you, what irritates you, what is most important, what is least important. I am looking to spark up some great comments in order to help both professions work more closely and congruently together in the time to come...when I think we need it the most because of what we are up against with market conditions. Bryan, the thing I have not yet found in a LO is one who would give back referrals to an agent that gave them steady business. I agree with what Chris wrote above - however the number one thing is to answer their phone or if they are unable to call back in a timely manner!!!! Chris, for them to look at the Purchase Agreement and make sure the finance contingency is removed by that date. Phone calls are good too, especially to the nervous buyers. I also choose lenders who can do FHA mortgages with downpayment assistance programs and who will partner with me on lead generation. For me it is all about dependability and knowing you will take excellent care of my client. I only refer mortgage professionals I know will do an excellent job for my client. Also, as others mentioned, a two way referral street. I like to have a good working relationship with mortgage professionals so they feel comfortable referring business to me.